The Supreme Court has ruled that a bakery’s refusal to supply a cake iced with the message ‘Support Gay Marriage’ was not discriminatory on the grounds of sexual orientation, as the refusal was based on the message and not to any particular person. The Court also held that the Fair Employment and Treatment (NI) Order 1998 should not be given effect in a way which would compel expression of a message with which the service providers disagree without justification, and that no justification had been shown in the present case. In May 2014, Ashers Baking Company refused to supply a cake iced with the message ‘Support Gay Marriage’ to a gay man, stating to Gareth Lee that his order should not have been accepted as it was a ‘Christian business’. In the County Court in May 2015, District Judge Isobel Brownlie held that there was direct discrimination, both on grounds of sexual orientation contrary to the Equality Act (Sexual Orientation) Regulations (NI) 2006 (SOR) and on the grounds of religious and political belief contrary to the Fair Employment and Treatment (NI) Order 1998 (FETO), and that it was not necessary to read down the provisions of FETO and SOR to make it compatible with the Convention rights of Ashers’ directors – Mr Colin McArthur and Mrs Karen McArthur. Dismissing Ashers’ appeal to the Northern Ireland Court of Appeal in October 2016, the Lord Chief Justice, Sir Declan Morgan, said that it was only necessary to answer two of the seven questions raised by the appellants and held that there was direct discrimination on the grounds of sexual orientation contrary to SOR and that it was not necessary to read down or disapply the provisions of SOR to take account of ‘…the appellants’ protected right to hold and manifest their genuinely held religious belief that marriage is, according to God’s law, between one man and one woman, pursuant to Article 9 ECHR’. The Attorney General for Northern Ireland intervened in the Court of Appeal proceedings, challenging the validity of FETO and SOR, insofar as the prohibition of discrimination in the provision of goods, facilities or services (on the grounds of religious belief or political opinion by FETO, and on grounds of sexual orientation by SOR), impose civil liability for the refusal to express a political opinion or express a view on a matter of public policy contrary to the religious belief of the person refusing to express that view. The Attorney General argued that the appellants were ‘compelled’ to articulate views ‘hostile to their religious and political views’, and that they were ‘protected from such coerced speech’ by the ECHR. In this regard, the Attorney General contended that the operation FETO was contrary to section 17 of the Northern Ireland Constitution Act 1973, and that the operation SOR was contrary to section 24 of the Northern Ireland Act 1998. Rejecting the Attorney General’s arguments, Lord Chief Justice Morgan said ‘it would be ironic if the constitutional protections against legislative or executive discrimination based on religious belief or political opinion, as introduced by the Northern Ireland Constitution Act 1973 and the Northern Ireland Act 1998, were to become the instruments for the support of differential treatment of fellow citizens based on religious belief and political opinion’. After the judgment was handed down, the Attorney General gave notice to the Court of Appeal requiring it to make a reference to the Supreme Court paragraph 33 of Schedule 10 to the Northern Ireland Act 1998 – however it was concluded that he had no power to do so because the proceedings had ended. 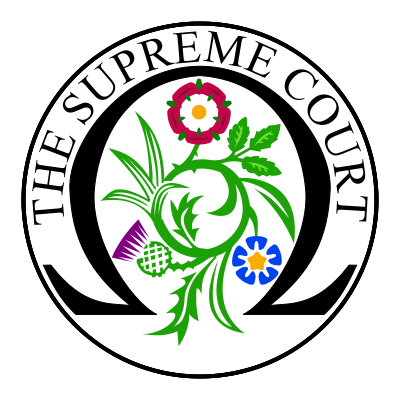 In judgments prepared by Lord Mance (on the jurisdiction issues) and Lady Hale (on the discrimination issues), the Supreme Court was unanimous in finding that it had jurisdiction to determine the appeal brought by Ashers and its directors, and the Attorney General’s references. On the substantive question of whether refusing to supply the cake was unlawful discrimination, Lady Hale held that there had been no discrimination on grounds of sexual orientation. Accepting that Ashers would have refused to supply a cake with the same message to a hetero-sexual couple, and stating that support for gay marriage was not a proxy for any particular orientation, Lady Hale found that there was no direct or associative discrimination because ‘[i]n a nutshell, the objection was to the message and not to any particular person or persons’. Considering discrimination on grounds of religious belief or political opinion, Lady Hale said that the rights to freedom of thought, conscience and religion (Art 9), and to freedom of expression (Art 10), were clearly engaged, and emphasised that these rights include ‘the freedom not to be obliged to hold or to manifest beliefs that one does not hold’. Lady Hale said that FETO ‘should not be read or given effect in such a way as to compel providers of goods, facilities and services to express a message with which they disagree, unless justification is shown for doing so’. In this regard, Lady Hale was satisfied that ‘if and to the extent that there was discrimination on grounds of political opinion, no justification has been shown for the compelled speech which would be entailed for imposing civil liability for refusing to fulfil the order’. Given the conclusions of the Court, it was not necessary to address the constitutional question raised by the Attorney General. The Court did find however that the Court of Appeal erred in failing to admit the Attorney General’s request for a reference to the Supreme Court. Discussing the judgment of the Supreme Court of the United States in Masterpiece Cakeshop Ltd v Colorado Civil Rights Commission (unreported) 4 June 2018, Lady Hale said that the important message from Masterpiece Bakery was the ‘clear distinction between refusing to produce a cake conveying a particular message, for any customer who wants such a cake, and refusing to produce a cake for the particular customer who wants it because of that customer’s characteristics’. In this regard, Lady Hale said that there could be no doubt in the present case that Ashers ‘would have refused to supply this particular cake to anyone, whatever their personal characteristics’, thus there ‘was no discrimination on grounds of sexual orientation’.